Over the next 10 years, 30,000+ construction and manufacturing jobs will be added to our region, coupled unprecedented levels of retirement our community does not currently have the local pipeline to fill these living wage jobs. 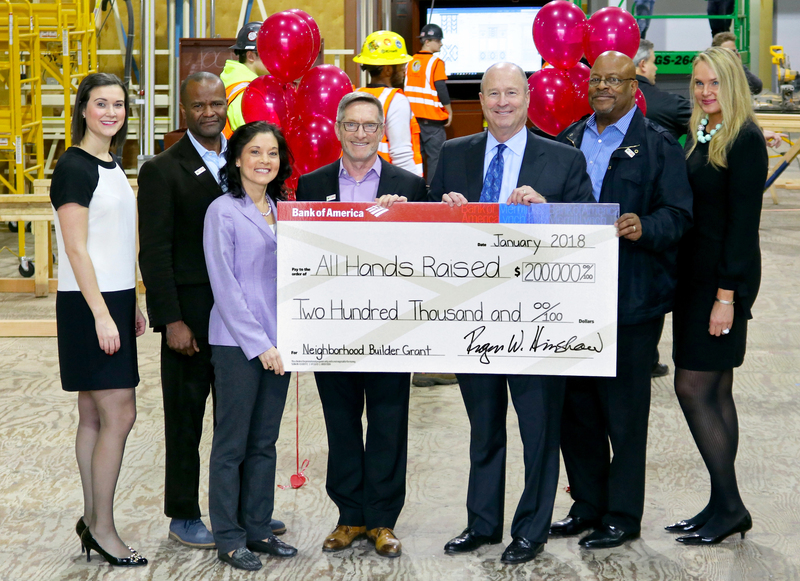 With this significant award from Bank of America, All Hands Raised will focus on: ensuring our high school students are aware of the opportunities that exist in the trades, connecting high schools, community colleges and the trades to one another more intentionally, and increasing awareness of these high wage jobs. This will also enable us to expand our work from two to six area high schools—partnering with teachers, counselors, industry, community partners and others to rebuild pathways to careers in the trades. Learn more about All Hands Raised’s work to strengthen pathways to construction and manufacturing. Read the Neighborhood Builder Award press release. Check out this special message from Dan Ryan and Roger Hinshaw. Watch KGW’s spot featuring the impact of the grant. Check out the reveal of the award on KGW’s Portland Today. Special thanks to the Pacific Northwest Carpenter’s Institute for its support in the creation of this spot.